Aggie Uzunyan is a Senior Escrow Officer at One Key Escrow. For nearly a decade she has been providing Glendale and surrounding cities with her exceptional services. She offers a comprehensive base of experience in REOs, short sales, FSBO and refinance. Aggie worked with several independent escrow companies before joining to One Key Escrow. “The experience here is different and more personal,” she said. Aggie also obtained a Bachelor’s degree in Business Management from California State University, Los Angeles. Ruby A. Tang is a Senior Escrow Officer at One Key Escrow. Ruby Tang brings 20 years of experience to her position as Sr. Escrow Officer to One Key Escrow. Her extensive knowledge not only ensures clients have access to valuable information, but it also enables her to anticipate challenges that often come with more complex transactions. “I’ve been blessed to find my true calling in escrow,” she commented. “It’s a people business which I love. I’m always meeting new sales agents, buyer and sellers and Loan Brokers. One Key Escrow provides the management, technology and knowledge that enables me to deliver the highest standards of service. It’s gratifying to be part of this friendly and professional family.” Ruby attributes her success to open communications with clients and has repeat customers that date back more than a decade. 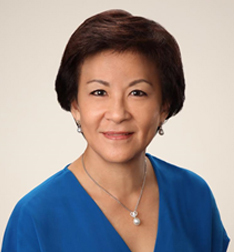 She is a member of the Escrow Associates of San Gabriel Valley, Business Network International Huntington Library Chapter and speaks Chinese and English in addition to her native language of Spanish. Nancy Borja is an Escrow Officer at One Key Escrow. 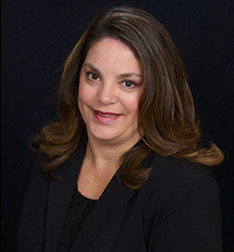 Nancy has 18 years’ experience as an escrow officer and has worked with several different independent escrow companies. Nancy has expertise in standard sales, short sales, REO, AITD, 1031, Investment properties, vacant land and for sale by owner transactions. 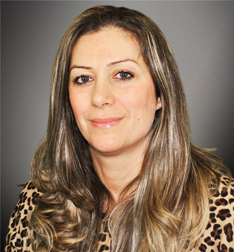 She is also a notary public and a member of the Escrow Associates of San Gabriel Valley. Her attention to detail has proved invaluable many times, and is truly an asset to her clients as escrow is such a crucial part of every sale. Having successfully closed hundreds of millions of dollars in transactions, it’s safe to say that she is an escrow expert! Nancy believes in providing the best customer service to clients and assist in making each transaction run as smooth as possible. Her goal is always the same: A Safe, Secure, and Smooth escrow – from open to close! Jeff Sands is a Senior Escrow Officer at One Key Escrow. Jeff has in excess of 20 years in the Escrow field and an additional 10+ years selling Real Estate as a Licensed Real Estate Agent. 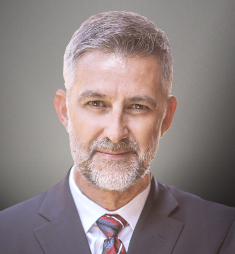 Throughout his career Jeff has been directly involved with Real Estate Attorney’s and Accountant’s developing a vast knowledge of every aspect of the Escrow process. Jeff prides himself on his communication skills and knowledge to create a seamless and comprehensive transaction for all involved. An avid Cyclist Jeff rides and Coaches for Team in Training part of the Leukemia-Lymphoma Society riding and fundraising to help in the fight of finding a cure for Cancer. 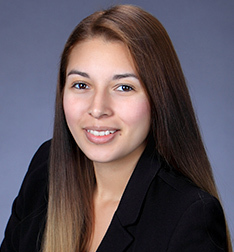 Jonni Campos is a Senior Escrow Officer at One Key Escrow. At the very early age of 18, I decided to pursue the Escrow industry. As a quick learner, problem solver and multi tasker, I was able to work my way up the ladder and learn the many facets within Escrow. I am proud to be a Senior Escrow Officer with much experience in refinances, resales, commercial, 1031 exchange and for sale by owner. What I value the most in my profession is being able to assist my clients get into their home. Building relationships with my agents and clients are my number one priority, as it fulfills me as a professional to assist with this process. In my spare time, I enjoy family time with my spouse and three children.